We are a growing web design and development company based in Poole looking for a creative, ambitious and passionate web designer to join our fantastic team. 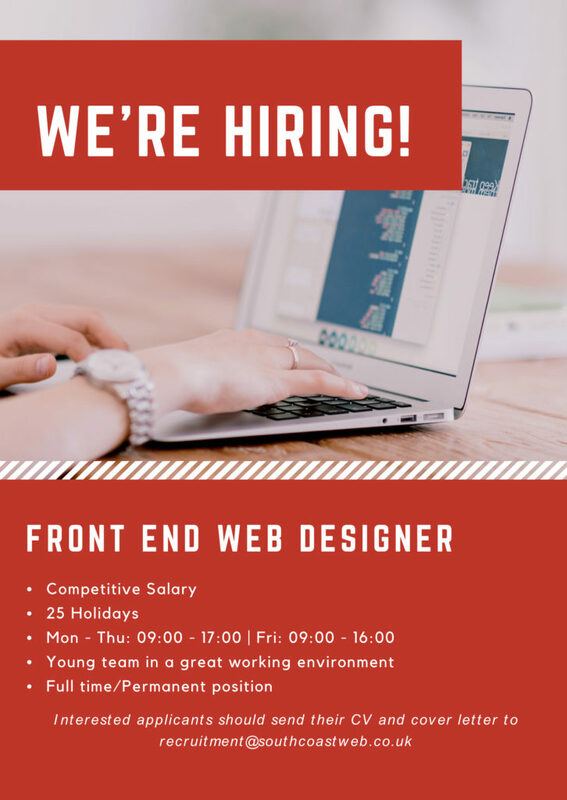 This is a great opportunity for a web designer to join a company which strongly believes in advancing people and their skills, to work with the latest web design technologies and methodologies. However, it’s not just about work, it’s about working with a company that can offer you a comfortable, relaxed working environment whilst helping you to develop your career and skills. On top of that there are lots of opportunities for social/team building activities inside and outside of work. As a web designer you will have solid knowledge of HTML, CSS, jQuery, SASS and a good understanding of web frameworks/platforms such as Bootstrap and WordPress. You will be working within our design team reporting to our lead designer to create beautiful, functional, mobile responsive brochure and e-commerce websites for our ever-growing list of clients. Excellent knowledge of front-end frameworks such as BootstrapProficient understanding of cross-browser compatibility issues and ways to work around them.